Baahubali Create Many Record In India and Beat Every Previous Record By Big Margin. 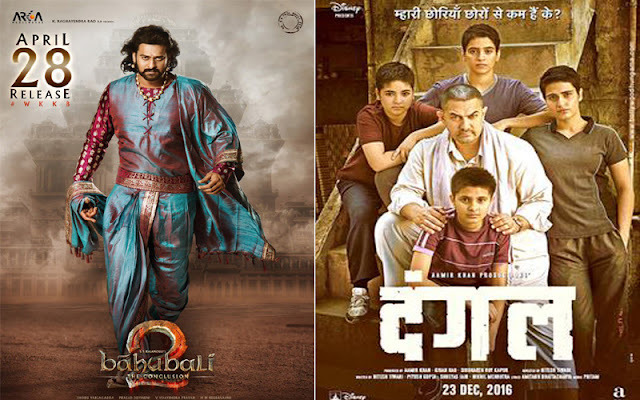 Baahubali 2 Collected Over 500 Cr In India and previous Record Holder Was Dangal with the collection of 383 Cr India. But Dangal Beat Baahubali 2 Collection In Worldwide Areas and Become Highest Grossing Indian Movie Worldwide. Dangal Now Collected 1700 Cr Worldwide Because Of The Fantastic Business In China with Collection Of 150$ Million (900 Cr). Baahubali 2 : The Conclusion Collected 1667 Cr Business Collection Worldwide. The Business In USA with the best collection of 133 Cr.